Last year, 11 Hong Kong women from the Tatler community joined forces to fight one of our world’s most pressing issues: single-use plastics. Known collectively as EcoDrive Hong Kong, they've been running outreach and education programmes at Hong Kong schools, private members clubs and local sports teams to reduce their plastic footprint (and that's just the start). 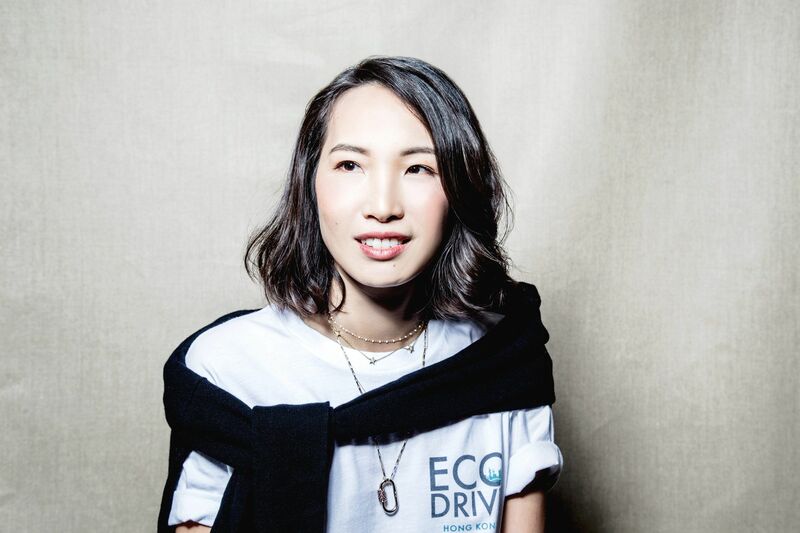 Why and how did you decide to become one of the founders of EcoDrive Hong Kong? I joined at the beginning of this year through my friend and co-founder, Jennifer Fang. It wasn’t a hard decision to make as I was very moved and determined to do something after watching "A Plastic Ocean" with my children. Why are you passionate about reducing single-use plastics? There are so many issues we need to work on concerning the environment. It's like going down a rabbit hole—the more you learn, the more helpless you feel about what's happening to Mother Earth. That's why our tagline is "Start small, start now." We’re starting with single-use plastics for the moment, but who knows? We might target other environmental concerns later on. We definitely have more than enough to work on just with single-use plastics. What is your biggest pet peeve when it comes to plastics usage in HK? My pet peeve is when people think that as long as they recycle, it's ok to use single-use plastics. Hong Kong is incredibly efficient and all our waste just gets taken away, so most people don’t think twice about it. In reality, plastic recycling is close to zero in Hong Kong and there is no composting, so even biodegradable or compostable products cannot be processed. But does this mean you shouldn’t recycle? Certainly not. I live in the hope that the government will do something about it soon, so everyone should start learning how to sort properly. There are also places that do accept plastic waste. You just need to do some digging or contact us for recommendations. What actions have you taken in your own life and/or business to help reduce plastic waste? I’ve completely trained my household (from my husband to the kids and our lovely helpers) to use less plastic while shopping, to stop buying and drinking Tetrapak or plastic bottled drinks, to install sorting bins in my home, and we've also spoken to the residents in my building about it. We’ve stopped using plastic bags in supermarkets and we reuse all the plastic wrappings we get from instant noodles to garment bags as much as possible. We’ve also installed a water filter and removed our Watson’s water dispenser. Our whole household uses reusable bottles and we carry our own straws. Plastic seems to be a necessary evil in our modern world. Given that, what do you think is the future of plastic? Can we really live without it? At the moment, I think it is very difficult to imagine a world without it. Plastic is an amazing invention. It’s light, it’s waterproof, it’s transparent, it lasts forever and it’s cheap—a miracle really. We just need to be a lot more diligent in the ways we use it and develop a way to either reuse or recycle it effectively. My 7-year-old son says that when he grows up, he wants to be a scientist to invent something that eats plastic! What are some tips you have for everyone to reduce single-use plastics? "Start Small, Start Now" is EcoDrive’s motto and I really believe in it. We aren’t telling you to go from 0 to 100, we’re just trying to make you more aware of your usage. I really believe that with education and awareness comes action. The easiest, of course, is to skip the straw and bring your own bag and reusable water bottle wherever you go, and just be more observant with your purchases and more creative in how you can reduce or reuse your plastic waste. Our household loves being creative about it. I’ve stopped buying juice boxes (Tetrapaks are lined in plastic and are very difficult to recycle)—now we have tons of fun making our own juices. Fresher, healthier and less packaging involved! Are there any other ways that we can protect the environment? Consuming less and treating everything with more love is the way to go! As mentioned above, being aware means that you are already halfway there! Just like your everyday interactions with family, friends and colleagues, be mindful of how you treat the environment. Everyone can make a difference, no matter how old or young you are. What other causes are you passionate about? I am passionate about anything to do with giving back to society and children’s charities. My family and I volunteer at rice box kitchens, elderly homes and sell flags for various charities on a regular basis. Recently, we have been doing a lot of beach cleanups and we really enjoy reading books and helping, however, we can with children in the community. What are some of your favourite anti-plastic products? There are tons of brands out there that do amazing reusable products. I am a big fan of Bubi, a silicon bottle that can be rolled up. It's great for travelling, very light and you can buy them from Escapade Sports in Hong Kong. Also, EcoDrive will be coming out with their own range of products soon, so watch out for those.